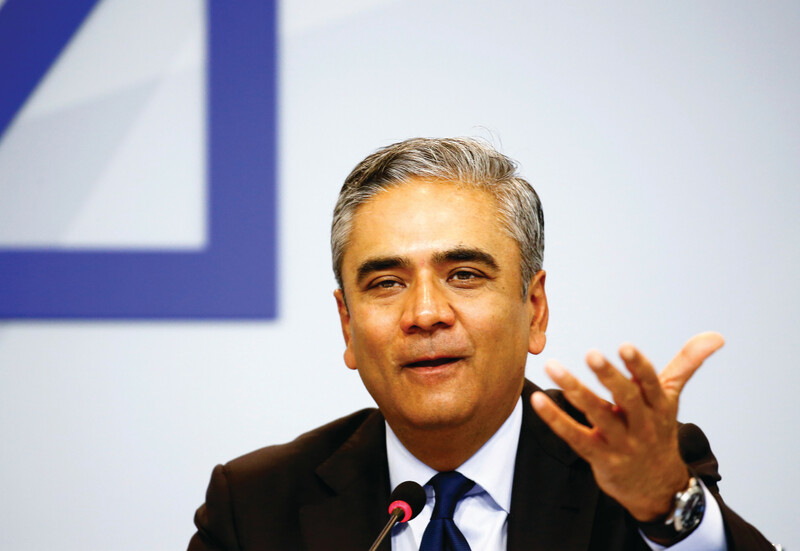 Anshu Jain, co-CEO of Deutsche Bank, gestures at a news conference in Frankfurt, Germany, April 27, 2015. Deutsche Bank will cut 200 billion euros ($217.5 billion) in investment bank assets and exit a tenth of the countries in which it operates as part of a restructuring program designed to boost earnings and cut risk. Anshu Jain, former co-chief executive of Germany’s Deutsche Bank, is returning to Wall Street as president of investment bank Cantor Fitzgerald LP. According to a Cantor Fitzgerald press release, Jain’s knowledge of global capital markets and strong expertise, will be used extensively to grow the firm’s businesses. The 53-year-old Jain will assume his new post in the coming weeks and work from London, according to a company spokeswoman, a Mint report said. “Anshu has a proven track record as a pioneer and builder of leading global businesses,” Cantor’s chairman and chief executive, Howard Lutnick was quoted in the release. “He has a deep understanding of the global capital markets, and strong expertise built over decades of leadership in the industry, making Anshu my ideal partner to drive growth during the next era of Cantor’s development,” he said. The appointment, which was announced in an internal email on New Year’s Day by Lutnick, comes 18 months after Jain resigned under pressure from his job at Germany’s largest bank as concerns mounted over Deutsche’s financial health and the many investigations it was facing, The New York Times reported. Earlier, Jain had a somewhat bumpy ride at Deutsche Bank. Having started his career at the German bank in 2002, Jain helped the bank set up a specialized unit focusing on hedge funds and institutional derivative coverage. During his tenure, Deutsche Bank reported first quarter net revenues of 9 billion euro in April 2010 of which the corporate and investment bank contributed net revenues of 6.6 billion euro, up from 4.9 billion euro in the first quarter 2009. As head of Deutsche’s Global Markets division, Jain oversaw a huge rise in revenue and profit in the early years of the millennium. However, the financial crisis exposed serious shortcomings in its business model–excessive risk-taking, fraudulent sales practices and market manipulation, among others. Just before Christmas, it agreed to settle Department of Justice claims of mis-selling mortgage-backed securities for $7.3 billion. Prior to being appointed as co-CEO at Deutsche, Jain was also a member of the Management Board from 2009 and the Group Executive Committee from 2002. He Jain joined Deutsche from Merrill Lynch in 1995. He is widely recognized for building the bank’s markets business and for helping transform Deutsche Bank into a global universal bank with a leading investment banking franchise, the Cantor press release said. He has previously led Deutsche Bank’s team advising the UK Treasury on financial stability, sat on the Board of Directors of the Institute of International Finance and was a member of the Financial Services Forum. He served on the International Advisory Panel of the Monetary Authority of Singapore. An ardent conservationist, Jain is working with environment and wildlife conservation groups in many parts of the world. The New York-based CFLP has over 10,000 employees for serving their clients across 100 locations. The company’s businesses are divided into four verticals — capital markets and investment banking, wholesale financial brokerage, real estate brokerage and finance, and private equity.